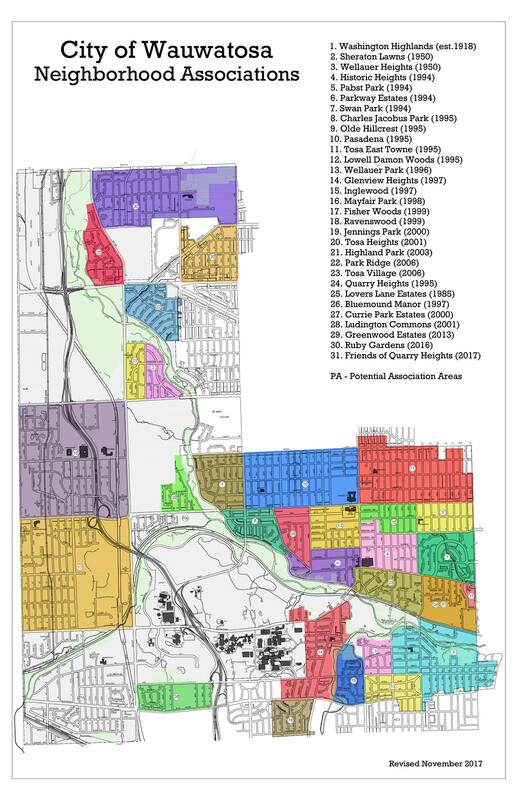 There are 31 organized and active neighborhood associations in Wauwatosa. If you know the name of your neighborhood association, use the links in the right-hand column to contact the organizers to ask about joining or other issues. If you don’t know the name of your neighborhood association, find your neighborhood on the map and use the number to find the correct association in the list below. Have a link not listed here? Please let us know. 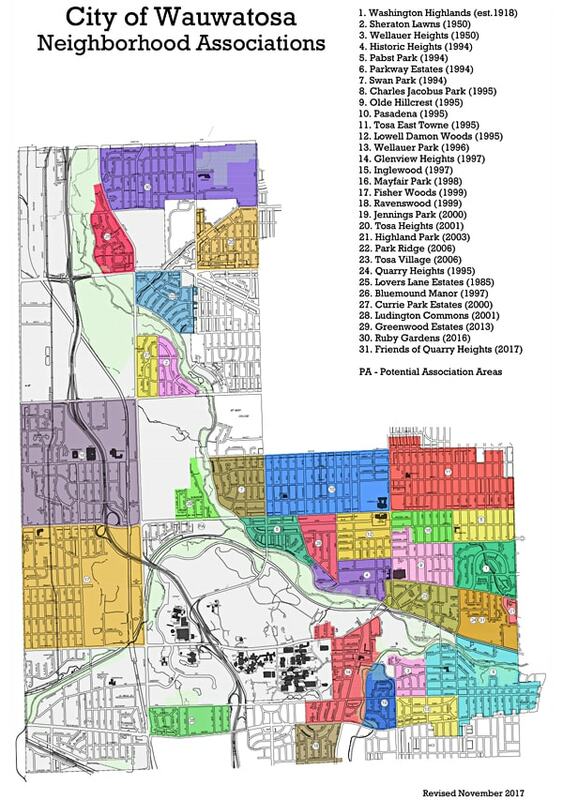 There are small areas of Wauwatosa that don’t have an official neighborhood association. If you live in one of these areas and wish to form a neighborhood association, contact the NAC president to find out how to get started. Be sure to check out the Association Resources page for great tips on getting started. If you have received no response from your neighborhood association organizers, the association may currently be inactive. If you would like to reactivate your neighborhood association, contact the NAC president to discuss strategies for getting it started again. Be sure to check out the Association Resources page for tips and tools.